Black garlic (or black garlic in English) is not a new variety of garlic, so if you're wondering, it's not grown . Instead, it is the final result of a long and particular process of processing white garlic. A completely unique product with nutritional and organoleptic properties substantially different from what was at the start. In fact, black garlic, in addition to the intense black color of the pulp, differs from the common white garlic for its sweetish taste, with aromatic notes reminiscent of licorice. While the hint and aftertaste typical of raw garlic is completely absent, so much so that its consumption does not cause problems with halitosis . Finally, given its incredible wealth of antioxidants , well above the common white garlic, is considered by the experts a superfood and a real elixir for health. The black garlic is an ancient Korean recipe that includes a particular processing of white garlic ( Allium sativum L. ). 30 days of fermentation : the fresh garlic bulbs are fermented naturally and without the addition of external agents (such as yeasts or fungi) in a humidity and temperature controlled environment for about 1 month. 45 days of oxidation : after these 30 days, the bulbs are transferred to another room with a different temperature, where they are oxidized for another 45 days. During this second phase the segments become blackened and soften, also losing the classic smell and pungent taste of the common white garlic. The end result is a completely different product, with a slightly sweet taste and an aftertaste that someone can remember liquorice. The pulp, in addition to coloring itself in an intense black , becomes very soft , with a rubbery consistency, similar to a spreadable cream. Finally, due to the reduced content of allicin, in black garlic completely disappears the smell and pungent tastetypical of white garlic and in fact, even if consumed raw and in large quantities, does not involve any problem of halitosis. We can therefore say that it is a 100% kiss-proof product! During the fermentation and oxidation process, black garlic loses some of the properties of the original product, but acquires new ones. Rich in antioxidants : During the aging process, allicin , or the substance that gives the typical pungent taste and smell to garlic, is converted into flavonoids, polyphenols and bioactive alkaloids. Particularly high is the content of melanoidine, the antioxidant substances that are formed during the so-called "Maillard reaction", in cooking food, responsible for the black color of fermented garlic. The final result will be a "super garlic" with a more than double concentration of antioxidants, compared to the common white garlic. Antioxidants are very important for our health, because they help to counteract the harmful action of free radicals, helping us to prevent and fight aging and cell degeneration, heart disease, cancer and diseases of the nervous system. Reduces bad cholesterol : Its beneficial action against LDL cholesterol is given by the presence of a particular sulfur compound, called s-allylcycteine ​​(SAC), which acts by inhibiting cholesterol synthesis. 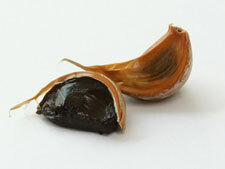 For this reason black garlic is indicated for those suffering from problems of hypercholesterolemia. Reduces the pressure : black garlic, as well as white garlic, is an excellent natural remedy for those suffering from hypertension. Easy to digest : Besides being a cause of halitosis problems, for many people, allicin is also an obstacle on the digestive level. Furthermore, the presence of S-allycysteine ​​greatly facilitates digestion and absorption of allicin. For these reasons, black garlic is easy to digest, even for all those people who do not tolerate garlic. Homemade black garlic. Can it be? If you're wondering if you can produce black garlic at home , unfortunately I have to give you bad news: the answer is no . In fact, the aging process is very complex and delicate. 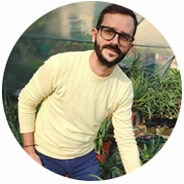 Reproducing the right temperature and humidity conditions is not easy and there is no possibility of error. A comma out of place and the garlic will end up rotting rather than fermenting. For this reason I strongly advise against do-it-yourself. For its particular taste, black garlic is considered a real gastronomic delicacy and is often used by many starred chefs to prepare incredible dishes with a unique flavor. Always remember that black garlic gives its best when raw is used . But nothing prevents you from using it even cooked, maybe to try it in the revisitations of great classics, such as spaghetti, garlic, oil and chilli . If you want to cook the black garlic, remember to do it over low heat . In this way it will melt slowly in the bottom, just like with anchovies, thus avoiding the bitter aftertaste of the burnt garlic. Instead, raw is perfect paired with bread (also as a spreading cream), or with rice or buckwheat cakes, if you are intolerant to gluten. It goes perfectly with fish tartare, with raw or cooked vegetables and with a delicate taste and also with many types of meat. The hint of garlic is almost imperceptible, while your dishes will be enriched with sweetness and aromatic complexity. Just try not to cover it with too tasty sauces, in which you would "lose", but to use it as much as possible in purity, combined to the maximum two or three other ingredients. 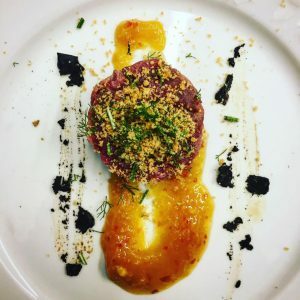 Take the tuna, beat it to the knife to form your tartare, season with mustard, salt, pepper and extra virgin olive oil and put it in a ring to give it the circular shape and prepare the dish. Arrange the orange jam, lay it in a pan with a little oil and toast a little 'stale bread, with oil, salt, pepper and wild fennel. As soon as it is golden, sprinkle it over the tuna, together with the fennel and a little freshly ground black pepper. Garnish with black garlic, a clove will be more than enough and will give the dish a sweet, round and really fantastic touch, which acts as a link between fish and jam. Black garlic is an all-Korean invention but in recent years it is also depopulating here in the West. In fact, since it is not a variety of garlic, but a process of fermentation and oxidation of simple white garlic, it is a product that can be replicated in every part of the world. Until a few years ago, the only products available came from Korea, China and Japan. Fortunately today it is also possible to buy European products. 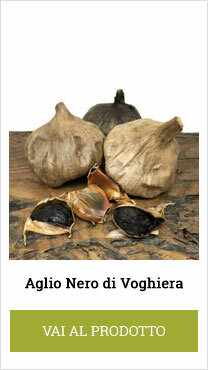 In Italy, the most famous and unfortunately also the most expensive variety is the black garlic from Voghiera . Alternatively you can choose cheaper products, but still of good quality, such as Spanish and German black garlic . 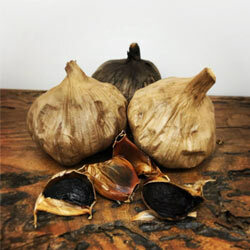 Black garlic is a niche product, which you can hardly find in supermarkets, or in organic food stores. Some herbalists and drugs do not sell whole bulbs, but some powdered black garlic capsules. If you are looking for an Italian, organic and high quality product online, on this page of our site you have the possibility to order the black garlic from Voghiera . This type of garlic is a fermented DOP black garlic produced in Voghiera (FE), synonymous of quality but also of exceptional sweetness. Thanks to the long natural fermentation, based only on the permanence of the bulbs at controlled temperature and humidity, the bulbs dull, leaving the candor and becoming elegant for our palate. In fact, the fermentation process transforms the intense aroma into a softer and more delicate flavor, makes the consistency of the slices more tender and improves the digestibility. The black garlic, beyond possible personal intolerances, has no particular contraindications, except for an exaggerated use, which in some cases could cause nausea, or vomiting.